-Can a man be in love two women at the same time? -The past was probably a better place to be, except they didn’t have antibiotics. This is not an exhaustive list, nor is this a proper movie review. I want to pose a question to those of you who have seen the film. *SPOILER ALERT* Quit reading now if you haven’t seen the film and plan to do so. My contention is that Gil, in love with Adriana, should have stayed with her. I know he has a realization that no matter what period of history he’s in, even if it’s his favorite one with his idols, he will eventually be discontented. Alright then, if that’s the case, at least stay with the woman you love. Even if it’s her favorite time in the past and not hers. If you love her, you’ll do that. Instead, Gil mentions antibiotics, leaves his love and returns to his present. His romantic ideal is trumped by the marvels of modern medicine. He ends up bumping into (again, like the end of Hannah and Her Sisters) the woman who works at the antique shop. She’s cute, but she’s no Marion Cottillard in La Belle Époque. But that’s Woody for you. He’s smart enough to know that if you’re going to make a romantic movie, end it at the beginning of the relationship. Because we all know that there’s only one way to go after that initial pinnacle of attraction and delight. PS No one in the theatre laughed louder than I did when Gil said he’s from Pasadena. This entry was posted on 25 May, 2011 at 11:43 am and is filed under Film. You can follow any responses to this entry through the RSS 2.0 feed. You can leave a response, or trackback from your own site. I haven’t seen it, so of course, I read the entire post. Not as big a fan as you are, but there are four or five of his films I liked a lot and can remember, practically, scene by scene. Hannah is one. Haven’t seen it yet so I didn’t read. There’s the difference between me and hiker. @ah – Ha ha, as I was writing “Spoiler Alert” I thought about all the people who would just plow on through. So glad I could introduce you to profiterole. Just wait until you taste one. @pb – Are you planning to see it? Are you a fan of Woody and/or the profiterole? Funny: I don’t know if I’m going to see it or not. It would be fine for me to read your post. I should just read it. Wait. I’m just going to read it while I eat my profiterole. Oh. Okay, well, no surprises then. It sounds predictably Woody Allen, which is fine, because all romances (as in the modern genre) are predictable. 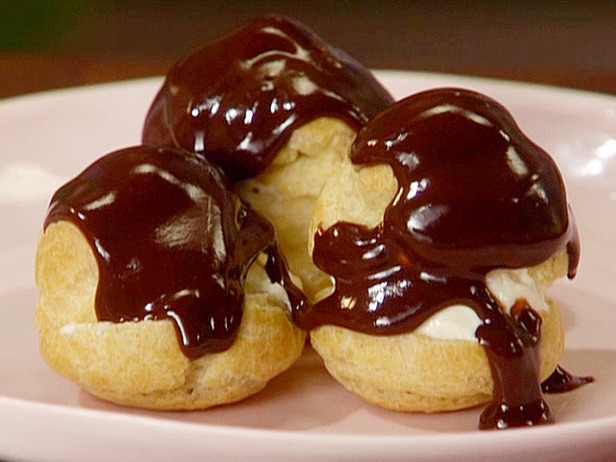 I like profiteroles just fine. They are satisfying for the nonce. You failed to mention that the Boz Souvenirs shop is featured. I had to hear that from someone else. I’m heartbroken. Betrayed, even. So, not really. But what more do I need in a movie? Paris, Boz Souvenirs. I don’t even care if there are actors in it.